Most of us have few and fleeting memories of childhood, in general it’s the more sensory ones that stay with us. The notes to a song, a smell wafting from the kitchen or a bright flash of colour in an otherwise dull day. 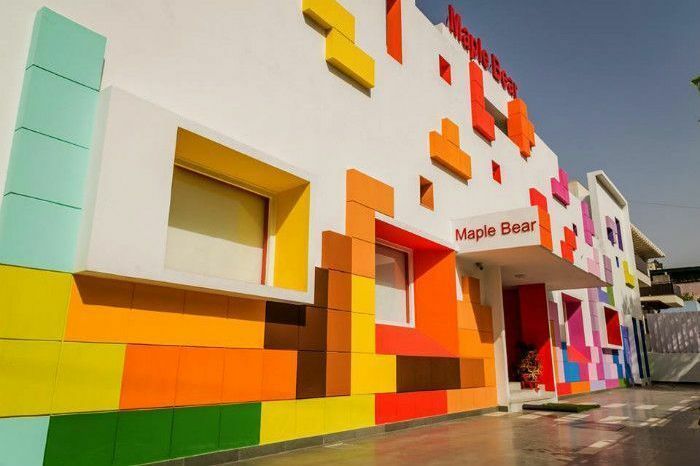 For the at Renesa Architecture Design Interiors in New Delhi, this concept became the foundation for their revamp of the Maple Bear India Preschool. 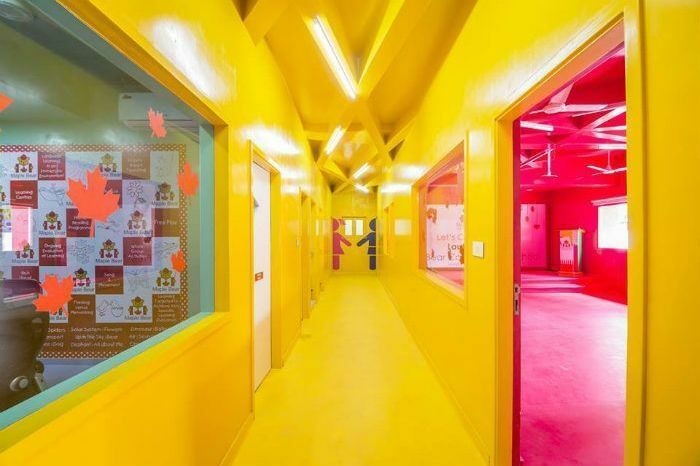 They wanted to use a play of colour and shape to capture the imagination and teach children to learn from their environment. This tailor-made structure is an entirely new approach to architecture, they term it ‘A Renaissance of Design Ideology for the young ones’. The result of their plan was ‘The Tetrisception’ a space that would facilitate an interactive model of learning that emphasises independence, freedom and the need for social development. An old, dilapidated structure has been transformed into the Tetrisception where the huge Tetris-inspired facade encourages children to grow beyond the traditional learning space. The gradation of colour acts as a visual connector and creates a playful ambience. 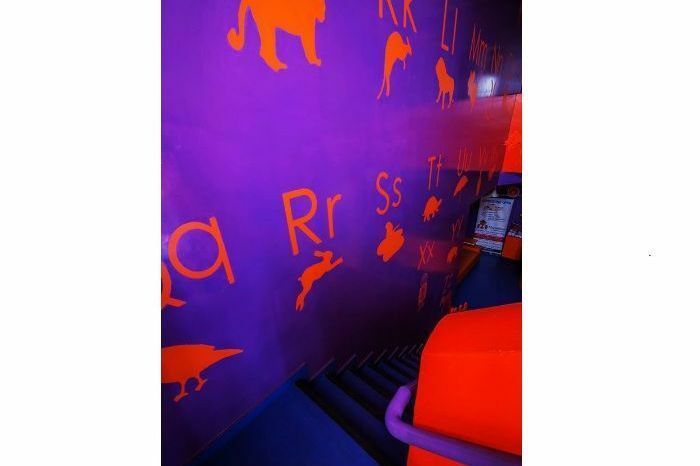 It was designed as a simple, clutter-free space with formal classrooms interspersed with reading nooks, where learning and play go hand in hand. 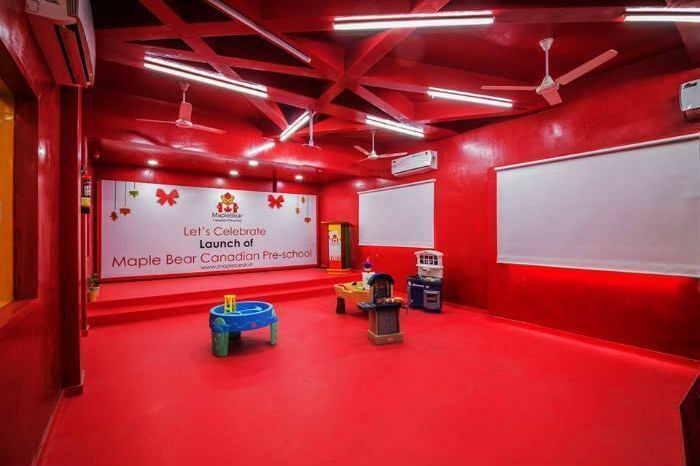 The spacious classrooms, a discovery room, a playground and a sand pit come together harmoniously to give the children the right start they need in life. The world has evolved so much from the inflexible ideals of before and our education system needs to evolve with it, the use of spaces like the Tetrisception are forging the path to the future.